The legal nurse consultant career is one of the rewarding professions you can join after graduating from high school. Unlike other law fields of expertise, this one offers numerous job opportunities as more health facilities are put up across the globe. 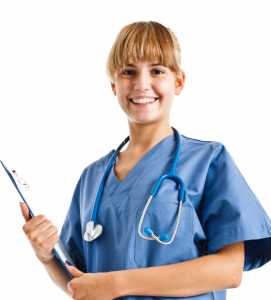 Here are some of the facts you should know about the career of a legal nurse consultant. Accredited legal nurse consultants have an in-depth understanding of the nursing industry, and this enables them to make an informed decision on behalf of their clients. Most of them are former practicing nurses or work part time as consultants. Their main role is to help other law professionals get a clear understanding of the various nursing procedures, as well as process legal information. They bridge the gap between law and medicine by providing explanations to the legal aspects related to the healthcare industry. What are their main roles? One of the main roles of a professional legal nurse consultant is to help lawyers gather evidence on behalf of their clients. They are also involved in analyzing and studying the evidence to come up with strong defense strategies. For instance, they help lawyers obtain and compare medical records to justify if the allegations are true. In some instances, they examine the work ethics of other personnel in the healthcare industry. This is to determine malpractice or any other offense. The Center For Legal Studies says courses for legal nurses include lessons on identifying liability concerns of healthcare providers. They could carry out an independent research on a patient’s condition, to know if it resulted from medical malpractice. There are employment opportunities for reliable legal nurse consultants. They work for health insurance companies, hospitals, clinics, non-government organizations and HMOs. Clearly, this is a viable career path you can take to contribute positively to the society and the world.